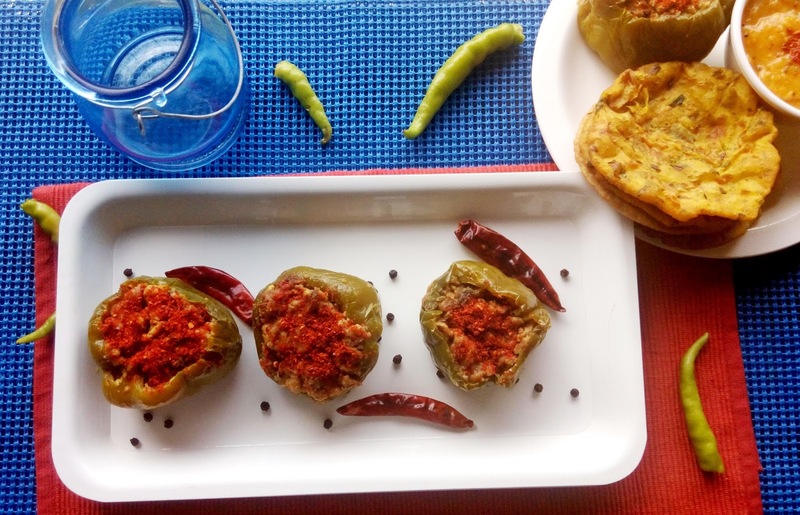 A great tiffin box dish,this Stuffed capsicum recipe is amazingly simple and fuss free. A perfect recipe for people facing time crunch but want to serve yummy tasting and spectacular looking dish.My four year old doesnt mind eating this veggie at any given time.Go ahead friends make it in your kitchen and get ready for some great compliments coming your way!! Slice off the tops of capsicum.scoop out the seeds.Now coat them with salt and keep aside for 10 minutes.After 10 minutes,wash thoroughly. Take a pan.Add vegetable oil to it .Saute onion in it till light brown.Add turmeric powder and red chilli powder and stir well. Add potatoes and cheese to this pan and mix everything well. Saute potatoes and cheese for 1 minute.Add garam masala,dry mango powder and salt to the mix.Mix well.Take it off heat and let it cool. With the help of a small spoon,stuff the capsicum with potato mixture.Repeat this for all capsicum. Take a non stick pan.Add vegetable oil to it.Place all four capsicum in the pan .Cover the pan and let this cook on low heat. 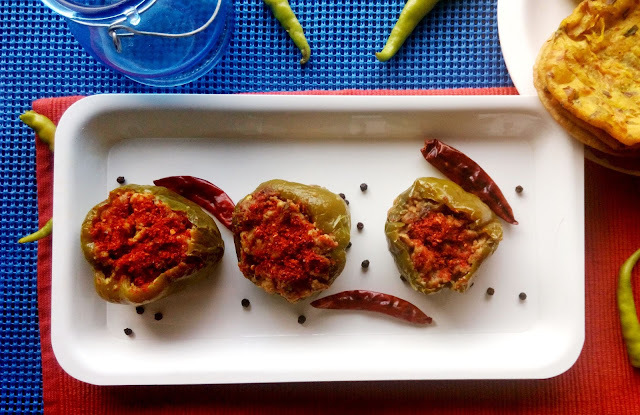 After every 4 to 5 minutes,keep changing the sides of capsicum.It should cook on all sides,even on the open potato side.This takes around 20 to 25 minutes. Capsicum are ready once they are soft and wrinkled. Serve hot with Roti,Bread or as side dish. Thanks dear!!! !I am sure you will love making it too.Thanks for encouraging words. You can learn a number of dishes in Shimla. This place is perfect and popular for the tourist and their activities. 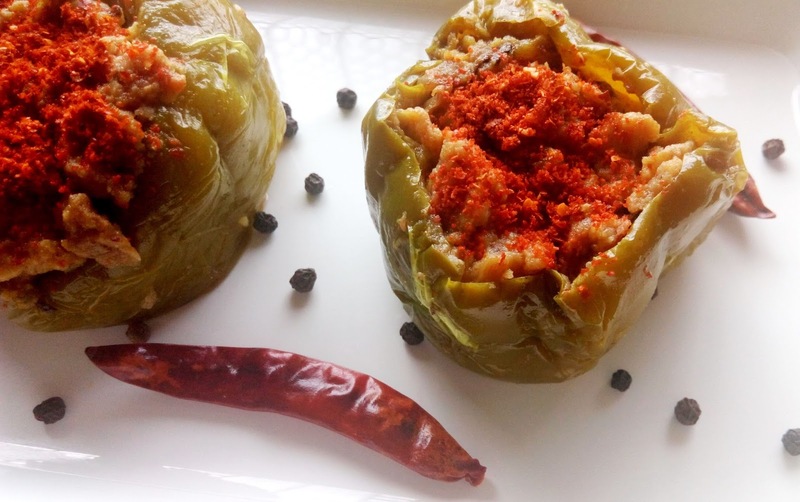 You can also visit this place easily from https://goo.gl/o3gWfU here to taste these of exciting dishes. One can visit this place easily during their weekend.